CAPE CANAVERAL — The revised Atlas 5 rocket firing order includes two national security missions this summer before launching NASA’s daring asteroid sampler mission in September as originally planned. That’s the schedule the United Launch Alliance managers have devised to get their workhorse booster flying again after pausing to review a valve problem on the most recent flight. 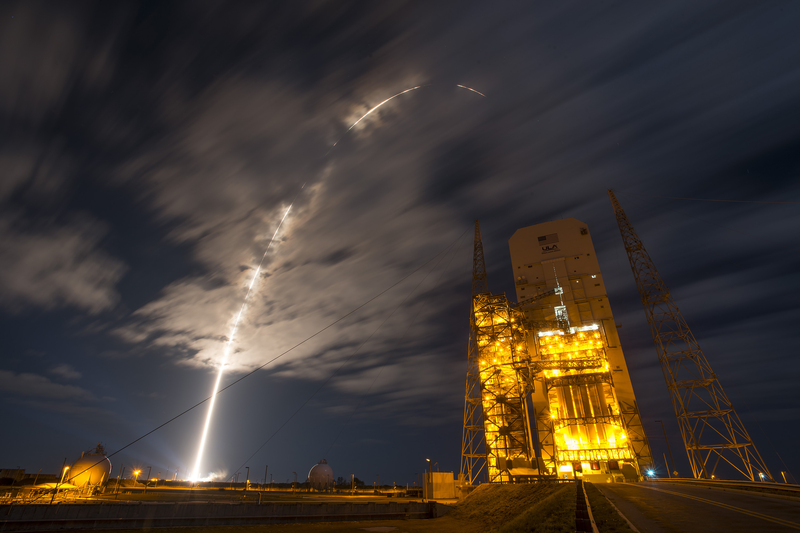 Although successfully placing the commercial Cygnus cargo freighter into orbit for the International Space Station and customer Orbital ATK on March 22, an anomaly with the Mixture Ration Control Valve on the first stage reduced the flow of RP-1 kerosene fuel. 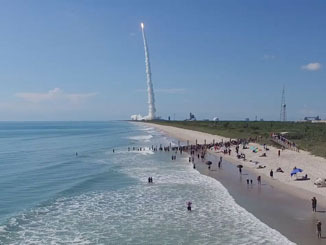 Engineers are developing an inspection plan to examine the valve and actuator now that the next rocket has been hoisted vertically atop its mobile launcher platform. The checks will verify the valve assembly meets engineering requirements. That next launch is targeted for June 24 using the most powerful version of the Atlas 5, known as the 551 configuration, with five side-mounted solid boosters for two-and-a-half million pounds of liftoff thrust. The payload is the U.S. Navy’s Mobile User Objective System satellite No. 5, the final piece of the planned global constellation to provide voice, data and video communications to troops on the move. Stacking of the vehicle began on April 22 at the Vertical Integration Facility at Cape Canaveral’s Complex 41. Last week was spent attaching all five of the solid rocket boosters, and the Centaur upper stage was mated on Monday. 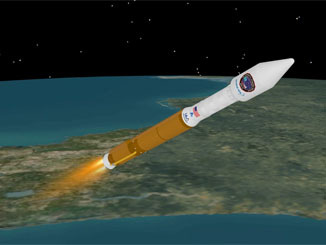 Following MUOS 5, the subsequent launch will be the National Reconnaissance Office’s classified NROL-61 payload riding to orbit atop an Atlas 5 rocket in the 421 configuration with a pair of solids. Liftoff is targeted for July 29. Nothing has been revealed about the payload’s mission or orbital destination, and educated speculation has been difficult. 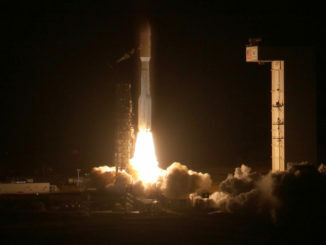 A dozen NRO launches have flown aboard Atlas 5 vehicles thus far, but none have used this particular version of the rocket. The craft will be dispatched on a two-year journey to reach the near-Earth object for a detailed survey and sample collection using a robotic arm to reach out and touch the asteroid. OSIRIS-REx then fires its engines to return home with the pristine sample stowed in a decent capsule that will make a parachute-assisted landing in remote Utah in 2023. Launch is scheduled for Sept. 8 at 7:05 p.m. EDT. The day’s 120-minute launch window will have liftoff opportunities every five minutes based on the evolving trajectory. 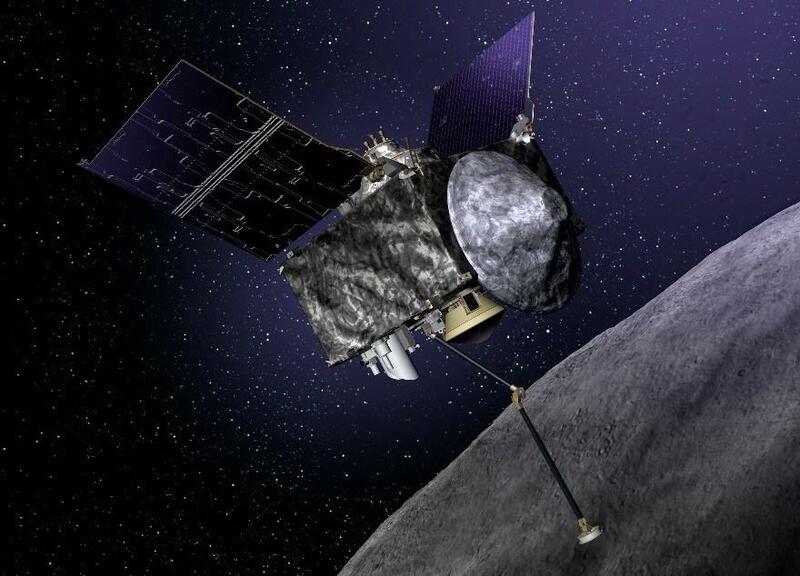 OSIRIS-REx must be launched by Oct. 12 or else face a year-long delay due to planetary alignment, making the schedule, vehicle stacking and countdown rehearsal critical. Built in Denver by Lockheed Martin, the spacecraft is scheduled to arrive at the Kennedy Space Center’s Shuttle Landing Facility on May 20 and be taken to the Payload Hazardous Servicing Facility for final preparations. While the Atlas lineup has been shuffled by the March anomaly, work continues to ready the Delta 4-Heavy rocket for United Launch Alliance’s next mission. Liftoff of that triple-barreled booster from Cape Canaveral is planned for June 4 with the classified NROL-37 payload for the National Reconnaissance Office. The Delta 4 family also has an August 4 launch of twin inspector satellites for the Air Force’s Geosynchronous Space Situational Awareness Program, or GSSAP, and deployment of the military’s Wideband Global SATCOM 8 high-capacity communications satellite on Sept. 28.